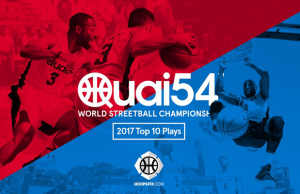 UK representatives Midnight Madness enter the fray with their annual trip to world streetball tournament Quai 54 in Paris, France this weekend. The tournament will feature a total of 16 teams – including Midnight Madness – with a dunk contest also taking place. The teams compete against each other over the course of two days in a straight knockout format, as they battle on the custom-built outdoor court for the chance to win the World Streetball Championship. 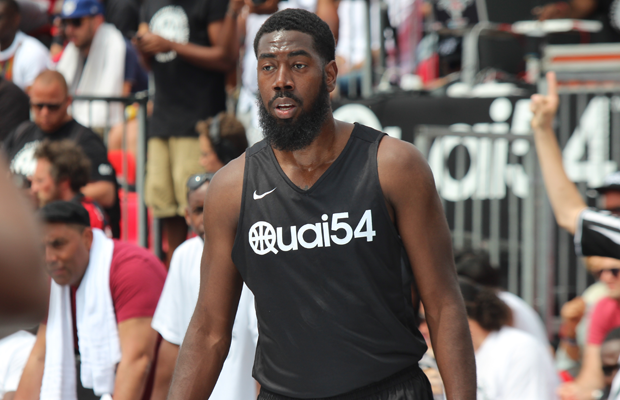 Once again, the Midnight Madness roster is stacked out with British talent, led by Quai 54 regulars Matthew Bryan-Amaning, Orlan Jackman, and Tayo Ogedengbe. Jules Dang Akodo, AJ Roberts and Conner Washington will run the guard spots, Newcastle Eagles’ Darius Defo will help man the middle, along with Robert Gilchrist and Mike Ocherobia, meanwhile new addition Taiwo Badmus will make his debut, fresh off representing the Ireland Senior Men. “Midnight Madness is back!”, said Head Coach Junior Williams. “We are happy to be once again participating in the best outdoor basketball tournament in the world and we are looking forward to playing against the toughest competition. “For the last 3 years we have been steadily improving on our final placing – having been led by MM vets Matthew Bryan, Ashley Hamilton (who sadly won’t be joining us this year), OJ and Tayo, mixed with rising stars AJ Roberts, Jules Dang Akodo – whilst having two teams advancing to the semi-finals and quarter-finals respectively. “This year we are giving the rookie Taiwo Badmus his first taste of Quai 54! Following on from Evan Fournier playing last year, this year Orlando Magic’s Bismack Biyombo will be suiting up for the opposition, whilst the dunk contest will feature Gediminas Zitlinskas, Guy Dupuy, and Jonathan Clark. Games tip off at 10:15am local time on Saturday. Follow @Hoopsfix on social media for all the latest news/results and behind the scenes action from the weekend. 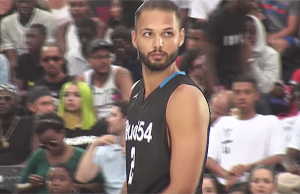 Evan Fournier Suits Up at Quai 54 2017 for Yard – La Relève! 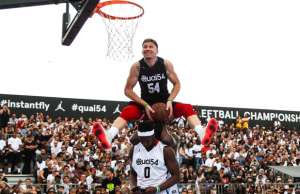 Quai 54 Dunk Contest 2017 – Miller Unseats Lipek!